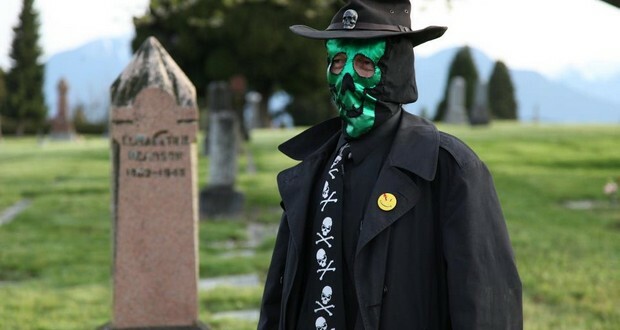 Thanatos of Vancouver, British Columbia is a costume-wearing real-life superhero, who distributes goods and goodwill to the homeless people. 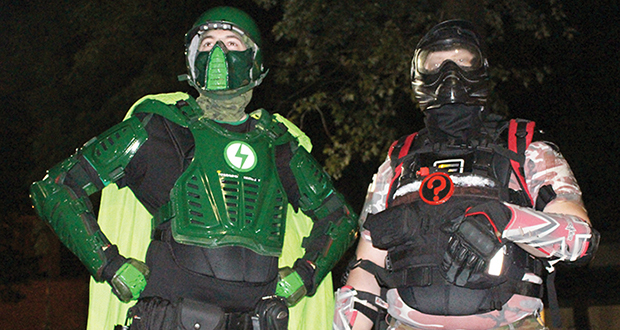 The Katalysts Ontario or the “Justice Crew of Oshawa” in Oshawa, Ontario is a collection of individuals who patrol the streets at night, do local litter cleanup, and homeless outreach. Clad in full costume, from mask to logo, they claim to have dealt with everything from stopping robberies, to foiling drug deals. Its members include Aftershock, the founder, Regulus, and the Nameless Crusader. 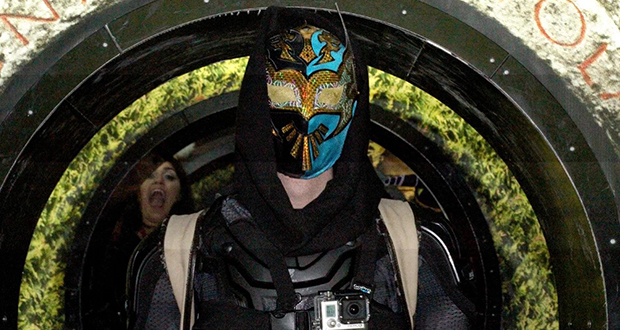 Lightstep is a masked patroller located in Montreal. He is equipped with a bulletproof vest and a bag with first aid kit, needle collection containers, latex gloves, condoms, socks, gloves, and hats. Redbud Woman is a Chinese real-life superhero, that assists with helping the poor and homeless in Beijing, China. She has been spotted many times, wearing a mask, and handing out food to homeless people. Super Pan is a Colombian real-life superhero who fights hunger in the poverty stricken areas of Bucaramanga, a city in Columbia. 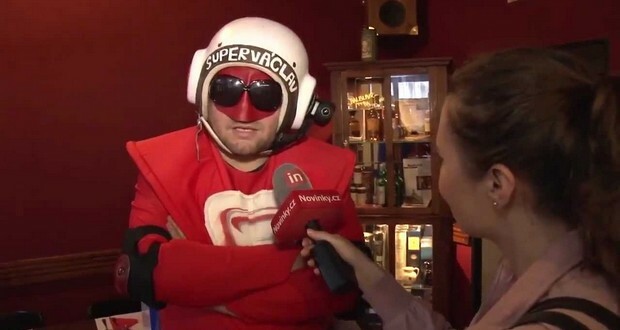 Super Vaclav is a promotional figure for a Czech web hosting company. He purports to combat antisocial behavior of Prague citizens, by pouring buckets of water on individuals smoking near public transport stops. He also assaults dog owners with their own animal's excrement if it is left behind by them. Pérák is a masked vigilante based on World War 2 era urban legend of the same name wearing black dress and mask and using street art to educate the public on Romani Holocaust and campaign for shut down of a pig farm on sites of the Lety concentration camp. Dex Laserskater, who has featured in the Finnish magazine Image has been patrolling the streets of Helsinki since 1997. 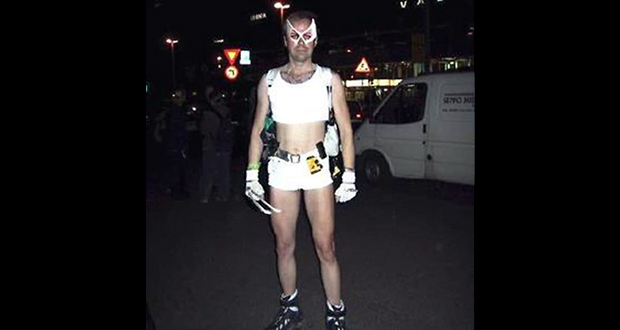 He has modeled his alter ego after the short-lived comic book hero Skateman. He specializes in guiding tourists, tipping waiters, doormen, and street musicians and helping the police. 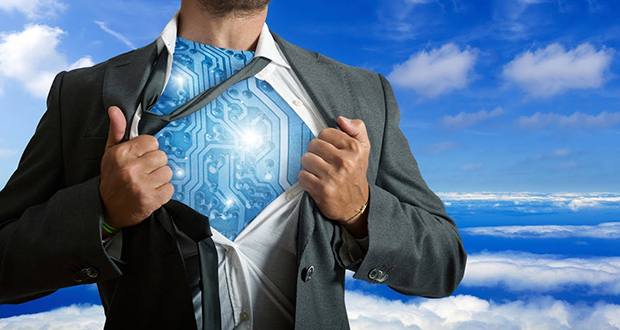 Argentina superhero Menganno works in the city of Lanús. He wears blue clothing, a helmet and a shield similar to Captain America's shield, but with the colors of the Flag of Argentina. 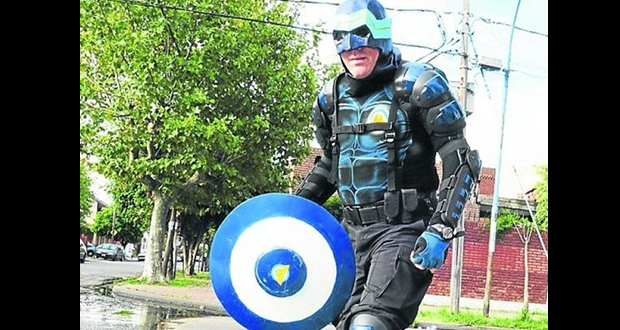 He patrols the streets of a neighborhood on the southern outskirts of Buenos Aires, to discourage crime and help those in need, with the goal of making everyone more supportive. Park Wayne is a superhero active in Jerusalem. His outfit and identity are mostly inspired by Batman and Spiderman. He has roamed the streets of the city since 2010, protects drunk people, people at risk and the creative communities in Jerusalem.